I finally finished the bi-laminate frame. 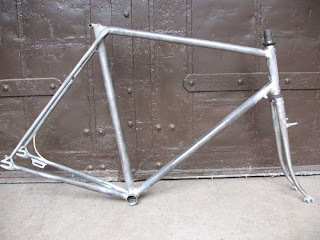 It’s built to be a single speed or converted to a 3 speed Sturmey Archer with a coaster brake. The gear cable is routed internally. 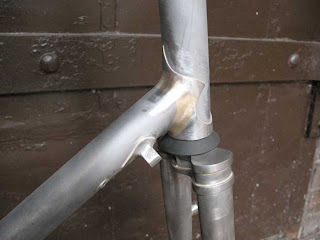 The cable enters the down tube near the head tube and exits near the bb shell. The cable goes under the bb shell and enters the chain stay. The cable then exits the side of the chain stay near the rear wheel. I hope I never do that again. 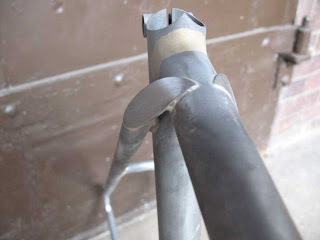 The seat stay arrangement is unusual. This sort of style was done by other builders like Singer and Routens. I doubt I’ll do it again but it turned out the way I wanted it to. 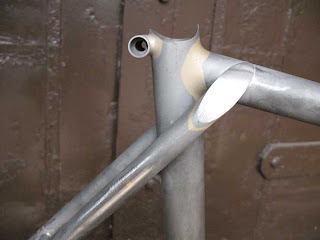 I like how the seat stay caps wrap part of the top tube. That was sort of a pain but worth it. The rear drop outs are from Pacenti. 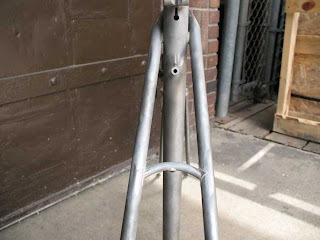 The faces are brazed on seperately and are made of stainless steel. The faces will be masked off before paint. I think they’re a nice touch. 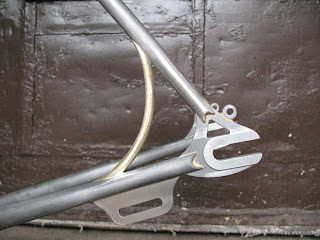 Also the coaster brake plate is made of stainless steel too and will be masked off before paint. 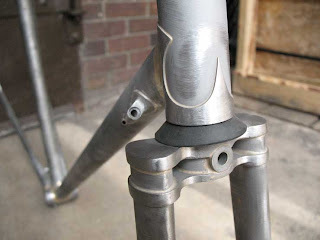 The swoopy tube between the seat and chain stay acts as a brace during the braking loads from the coaster brake. The loads aren’t that significant so the tube is more decorative than functional. The tube is brass but is quite thick walled so it will be strong enough to actually act as a brace if needed. I used brass because it bent the way I wanted and it was the diameter that would look appropriate. 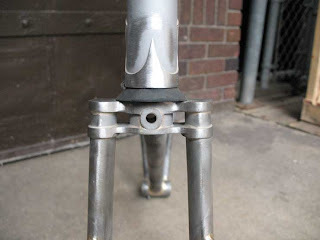 The fork crown is the same twin plate crowns used on the Masis. It’s a pain to work with but it sure lends some mojo to the overall aesthetic. These crowns are quite rare. Definitely not somthing I’ll be using too often.